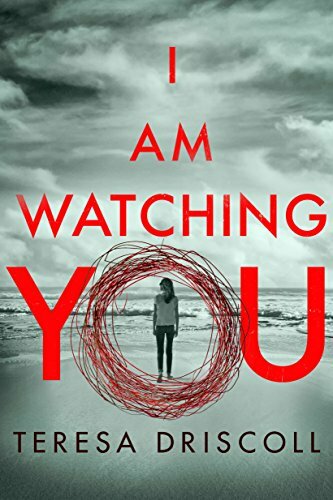 I just finished listening to I Am Watching You by Teresa Driscoll. It is a story about a missing teenage girl and the aftereffects of her disappearance—involving a witness who saw her before she disappeared and their feelings of guilt about not interfering when they thought they should, and also the effects on her family and friends. The book switches between viewpoints, something I‘m a great fan of, as I feel it gives the reader more depth. We thus follow the witness, the best friend who was on a trip with the missing girl, the father of the missing girl, and a private investigator, who was hired by the witness when she started receiving threatening mail. The story is full of suspense, and I wanted to know more, to find out what happened to the missing girl and what was happening with those threatening letters. There were some red herrings, and I have to say, I didn’t calculate the ending, so that came as a bit of a surprise. When I’m finished with a book, I like to reflect on how I feel after, if I’m satisfied with the storyline and feel that things have fallen into place in a way I am happy with. I wasn’t fully satisfied with this one. I think one of the reasons is that the big answer and bow-tying came in the epilog, and I just somehow wanted to get more time with it. I felt as if it were a bit too rushed. Knowing how much to say and how much not to say is a very common problem for an author, and it’s very easy to get so involved in your work that it’s hard to see it from the readers’ point of view. I make the same mistakes, so I can’t but empathize with the author on that point. I’d say it was a well-written book. There were some small things I’d have pointed out if I were the editor, but all in all, it held my attention throughout, and I felt it was enjoyable. If you’re looking for a light read, something that you’ll go through quickly, then I’d recommend this one.